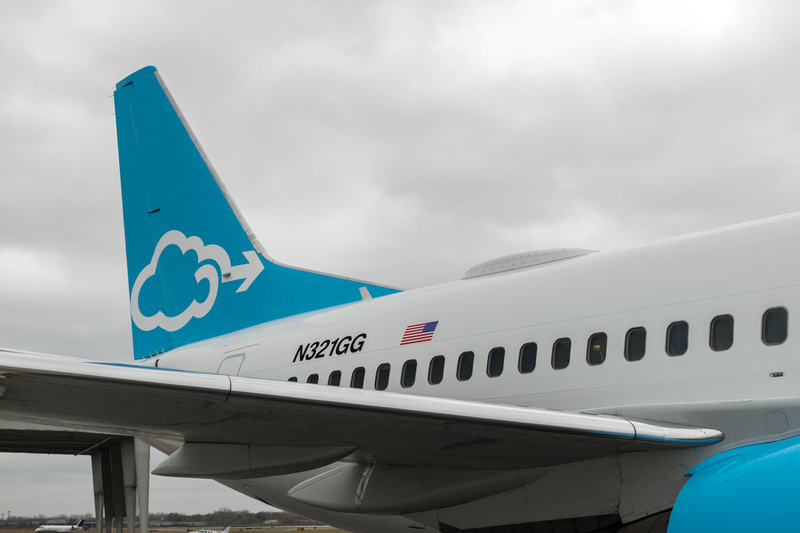 Gogo's new 2Ku in-flight WiFi might not be as fast as your home internet connection, but it gets the job done -- and a lot faster than current in-flight connectivity. But how much will it cost? When will consumers get to use it? And of course, just how secure is the satellite internet service? For the answers to those questions and more, I sat down at a brief roundtable interview with CEO Michael Small and Vice President of Product Management Blane Boynton at the company's Chicago headquarters. How much of this is a response to the Louis CK bit about in-flight Wifi where his fellow passenger is complaining about internet speeds? CK exasperatedly responds that it's an unreasonable complaint given the circumstances: you're sitting on a chair in the sky. Michael Small: It's an amazing technological achievement, but people want it to work the way they want it to work. Gogo will do very well if we connect the most planes with the most bandwidth, more efficiently than anyone else in the world. I think the issue of the gap between [the speeds] on the ground and in the air is going to narrow significantly. 2Ku takes a big chunk out of that gap, and by the time we get to our next generation, some years from now, maybe it's pretty imperceptible. It is a harder engineering problem, to do it in the sky, so there's likely there will always be some element of a gap. But we're closing it down. People will be relentless for more bandwidth. Moore's Law is Moore's Law, and we aren't going to be on quite every 18 months, but if you aren't doubling the performance every so often you're not going to keep people happy. Is there such a thing as net neutrality in the sky? I was running four services (HBO Go, Google Play Music, Twitch, Netflix) all at once and all of them stuttered except for Netflix. Small: That doesn't have anything to do with us. We are allowed bandwidth management efforts and we try not to discriminate against any one particular site, but different streaming sites are more sophisticated in how they do the streaming. Some adapt better to whatever bandwidth is available, some will send you super high-def regardless of the bandwidth and they crap out. Blane Boynton: I would say Netflix built a better client. It's a variable bitrate client, it does a very nice job dialing up [quality] and dialing it down based on link condition. That's one of the many reasons why they're the leader in the space. How much is 2Ku service going to cost passengers? Small: I can't predict that, but I can tell you there will be many more happier passengers and users because we have a bunch more bandwidth. That decision will be made primarily by the airlines; the bags fly free or they don't. We'll see what happens. The first commercial service will be out about the first of the year. Passengers will certainly be flying it in beta test this year. I don't know when the airlines will actually flip the switch and start charging. The pricing issue will become relevant during the course of next year because there's going to be so few planes with it until late into next year or early 2017. That hump in front of the tail is where the 2Ku antennas reside. Where are the 70 Mbps hotspots? We were told earlier today that the speeds get better the closer you are to the equator. So where are they and what routes are they on? Boynton: The satellite beams are best wherever they're centered. So if you go look at the beam plots of a given satellite beam, you'll see that they're very odd shaped. Some satellite providers shape their beam roughly like the United States. Some are ovals, some are more circular in nature. The answer is that it depends. It depends on the shape of the beam and the beam you're in. How does this differ from the GTO tech that we tested last year that had higher speeds? There's a couple differences. The "receive" side of 2Ku is the "receive" side of 2Ku. There's some differences at the protocol layer in terms of multicasting and network stuff that I'll quickly get out of my depth on. We can get you a more technical answer, but what's important is we took the "receive" side of GTO and we put a satellite transmitter on it and that's essentially 2Ku. When you transmit and receive on dissimilar networks, you have to start playing with the protocols. That's the advantage we're seeing in 2Ku where we don't have to bump the protocols the way you would with GTO. How secure is this network? I would say we employ best practices around network security. The traffic is landed at the satellite provider teleport and is directly backhauled into our data centers. Would you feel comfortable transmitting your personal information like your Social Security Number or bank account numbers over this network? I would always encrypt my social security number or bank account number. I don't do it at home, but I would definitely employ the same, call it "use mode," as home in the air, 100 percent.